Today's post is both a trade "thank you" and callback to what could've been in Cleveland, if team management hadn't been so free to trade away their young talent. Most squads have good what-if stories, but it's been almost 65 years since the Indians won their last title, so any opportunity missed looms large. First off, thanks to an OldBaseball.com trading friend for this 1961 Post Cereal #40 of Norm Cash, longtime Detroit first-sacker. 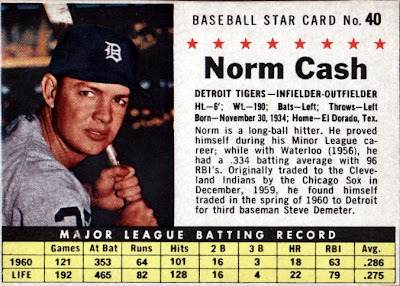 His solid bat helped the Tigers win the 1968 World Series, just one of 15 seasons Norm spent in their uniform. 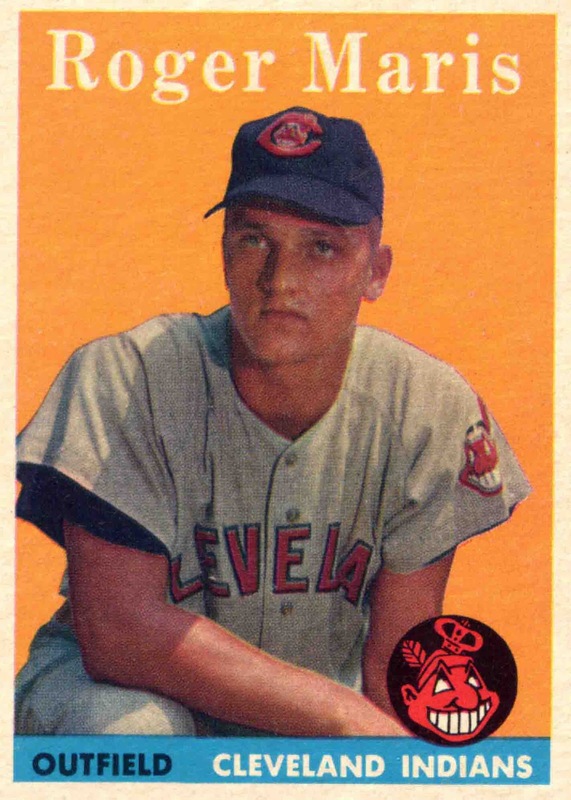 As noted on the card, Norm changed hands twice in one off-season, moving from Chicago to Cleveland to Detroit following 1959. 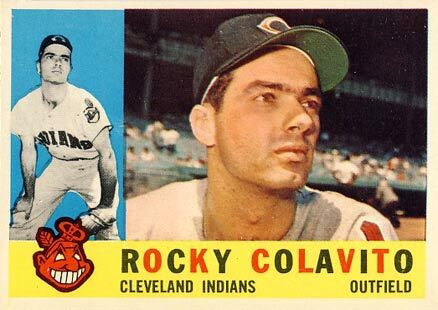 Picturing him in a Cleveland uniform reminded me of another high-ceiling hitter they traded away that year, Rocky Colavito. Rocky's departure was significant enough to cast a Colavito curse, but Cleveland's potential power lineup didn't end there. This fellow also started in an Indians uniform, before being traded away in mid-1958. The Mantle and Maris home-run race sold so many newspapers and magazines in 1961 that I think Mickey and Roger deserve credit for making baseball cards a mass-market item, acceptable for purchase by kids and adults alike. Post cereals featured the teammates on both store shelves and as a 1962 LIFE magazine insert.